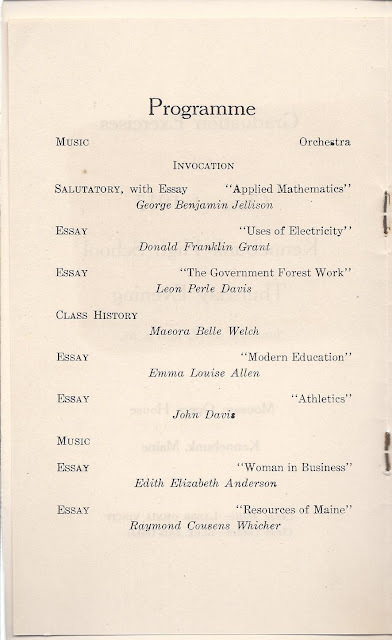 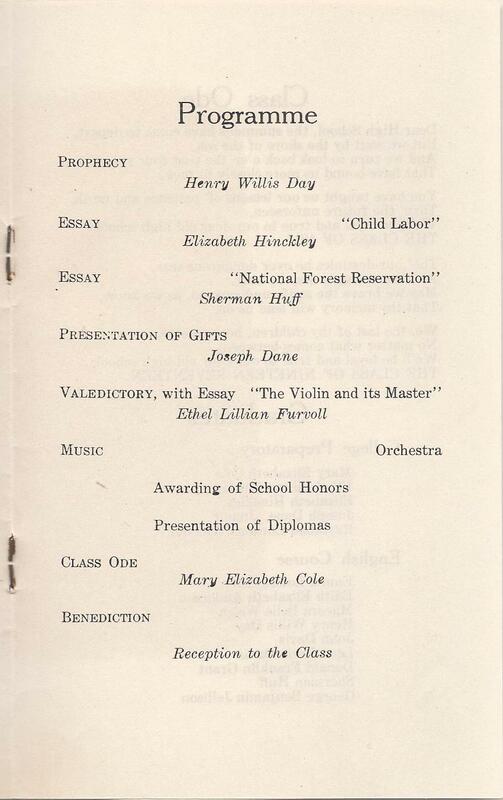 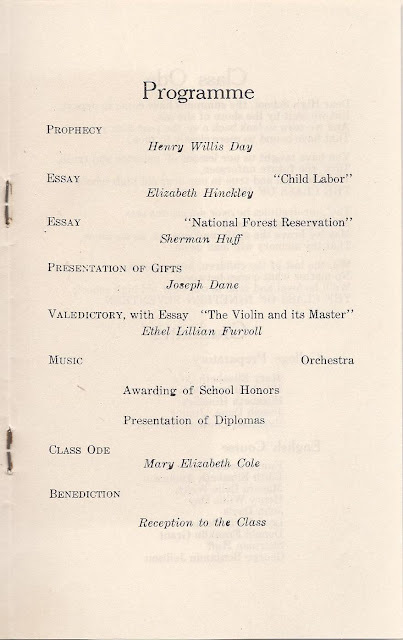 Graduation Program for the Class of 1917 of Kennebunk High School at Kennebunk, Maine. 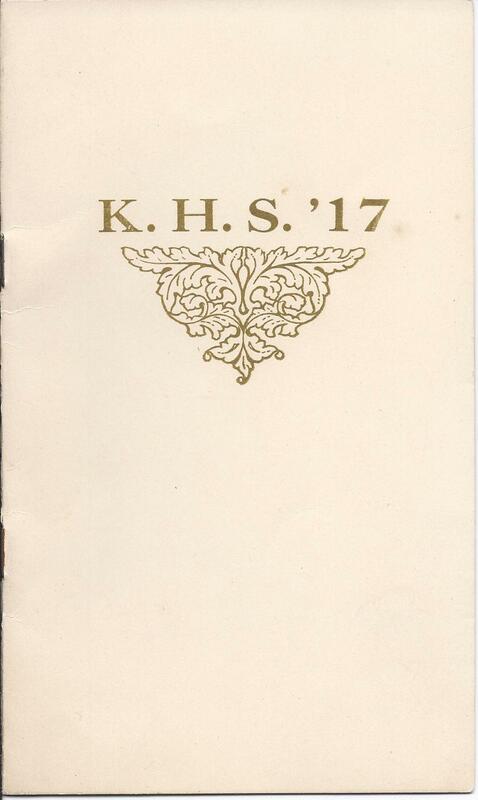 That have bound us more closely to thee. That thy memory will lead us on. 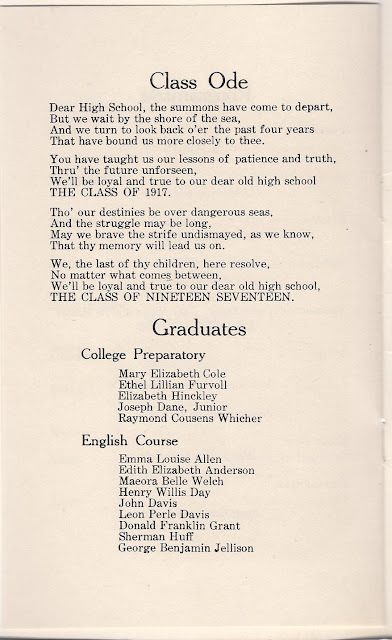 THE CLASS OF NINETEEN SEVENTEEN. 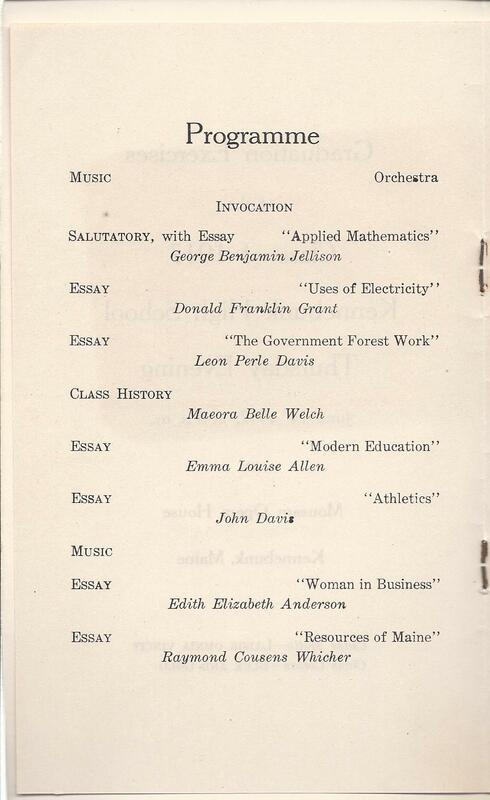 I hope these graduates survived the War and the Spanish Flu. 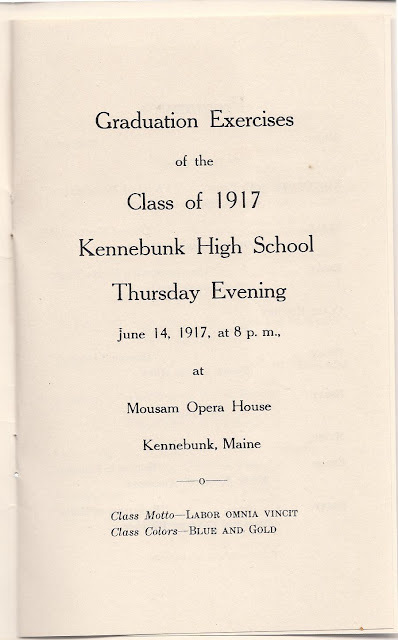 I checked the Maine Military Men of 1917/1918 database and found several who served, but none who died. If you have information on any of the graduates, please leave a comment or contact me directly.